Make no bones about it, skeletons are the backbone of Halloween decorating. 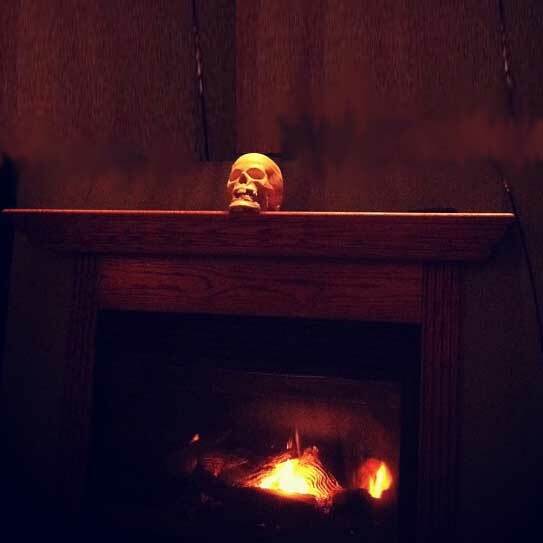 A Halloween skeleton fireplace with simulated human, dog and cat, bat and rat, bird and reptile, or even dragon and unicorn skeletons can send tingles up your spine. 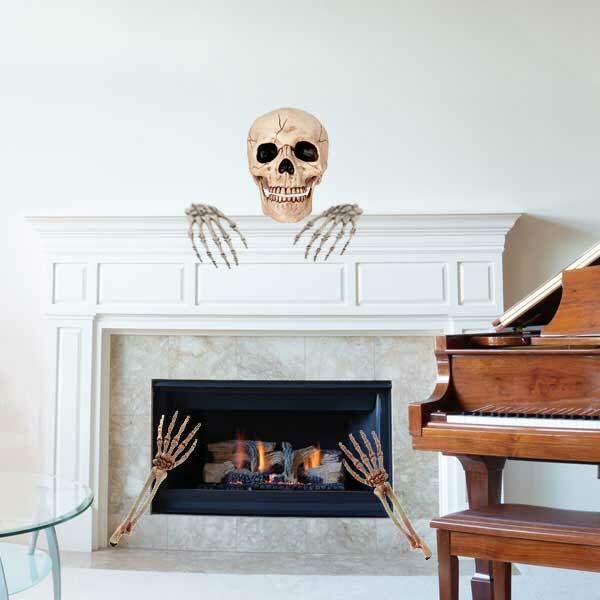 In addition to decorating the fireplace, skeletons can sit on chairs or couches and hide in closets. They can prance across shelves or lounge by a cauldron full of Halloween candy. 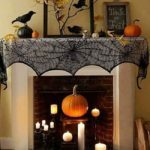 From a pile of human-like bones replacing the logs in your fireplace, to skeletal creatures haunting the mantel, hearth, and inside a firebox, any Halloween skeleton fireplace is an attention grabber! 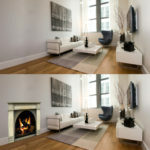 strategically located on a fireplace mantel, can create spooky drama. 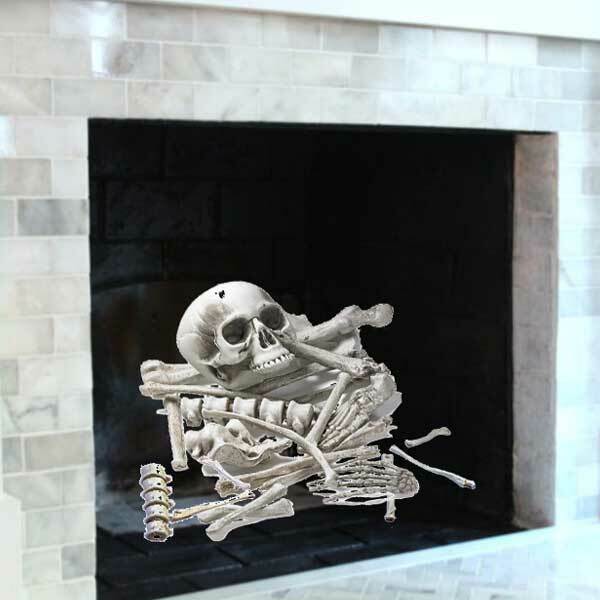 Or feature a limited number of human bone sets to accent your fireplace and hearth. Below, for example, are skeletal hands, arms and a skull. 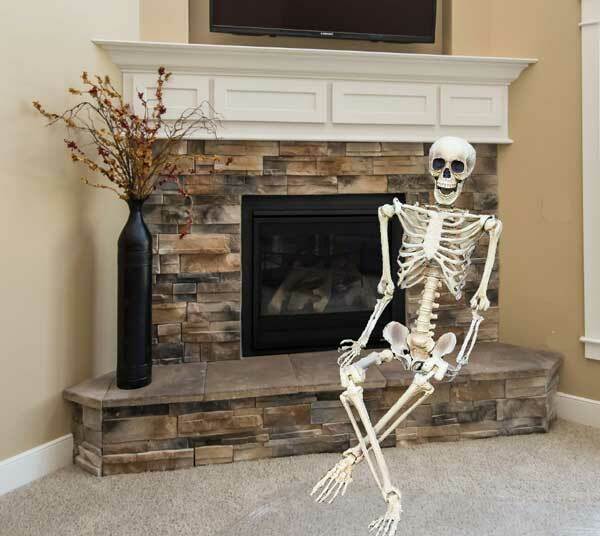 A life-sized human skeleton, posed sitting on your raised hearth, certainly grabs attention! Or go with smaller skeletons strung onto a garland to decorate the mantel. Flying bats, scary rats, and hissing black cats are all part of Halloween. The skeleton versions of these animals up the creepy factor significantly! 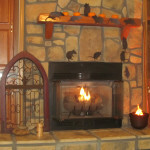 Bats in and around your fireplace are spooky enough. 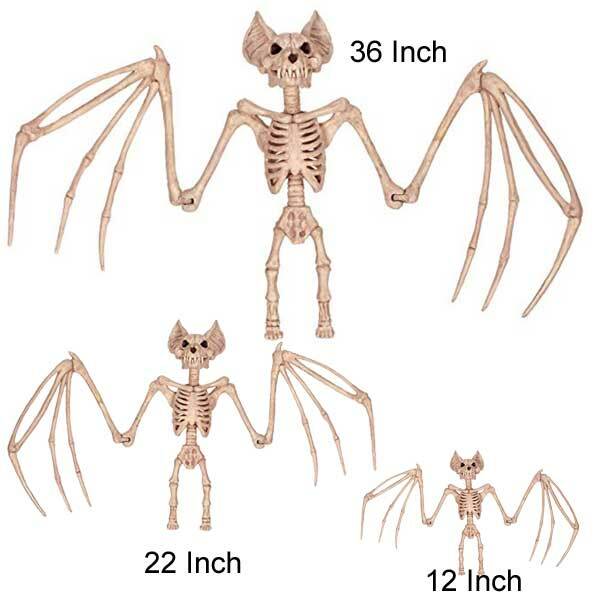 But long dead skeletal bats can make your skin crawl. You can get them in a variety of sizes. Furthermore, you can hang them head up or feet up. 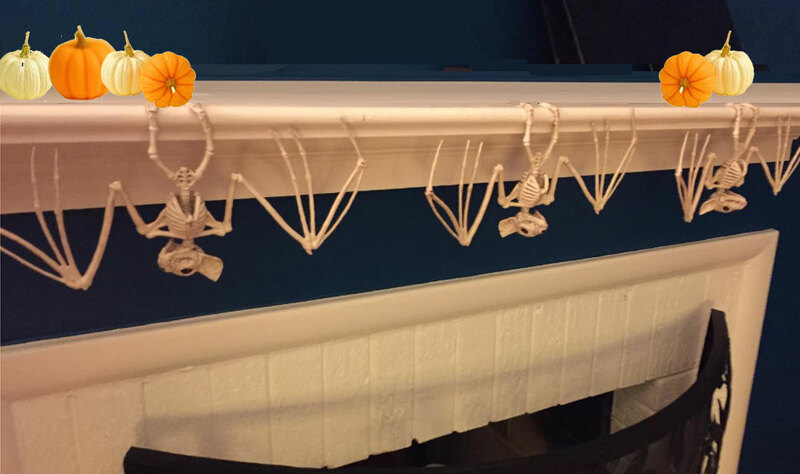 Crazy Bonez bat skeletons even have feet that allow you to hang the bats on your mantel. The bats’ toes are bent backwards. This lets them hang from any ledge such as a mantel or shelf. They naturally pose like sleeping bats. 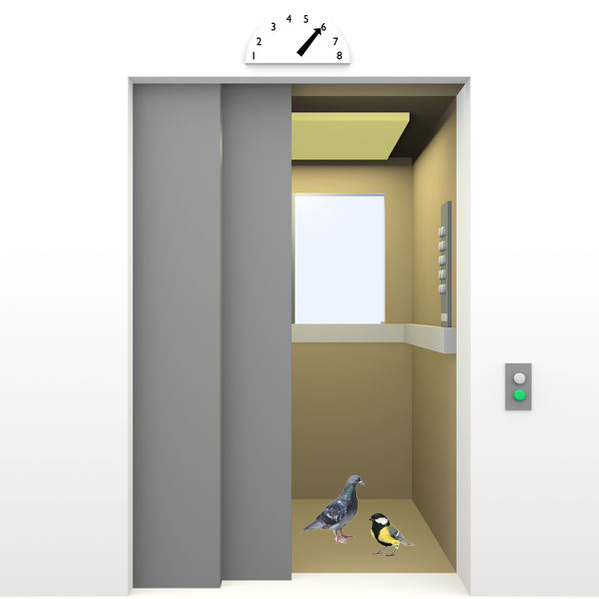 Any time of year, not just at Halloween, the sight of rats or mice gives most folks a startle. 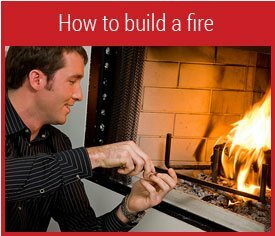 Place them scampering across the mantel, climbing up the fireplace, or lounging by the heat of the fireplace. 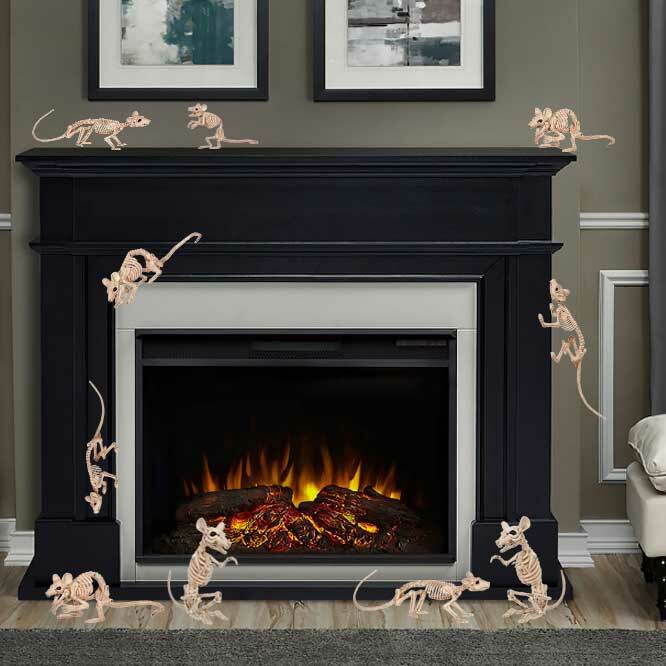 Skeleton rats and skeleton mice are perfect for posing by a Halloween hearth. 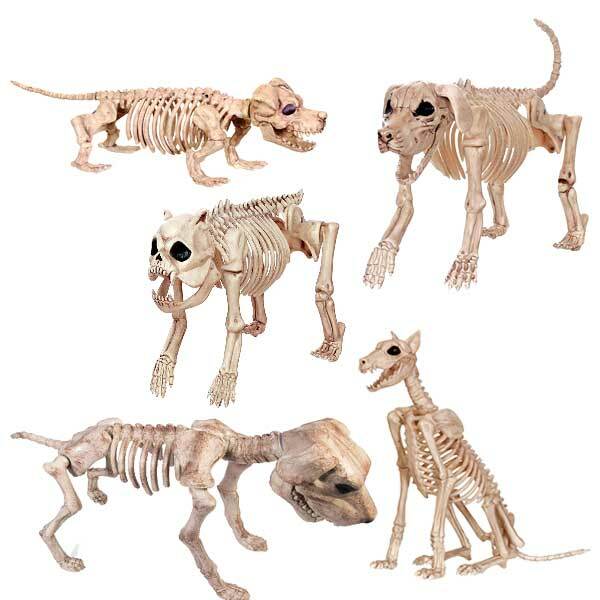 The skeletal remains of cats are an eerie Halloween decorations. 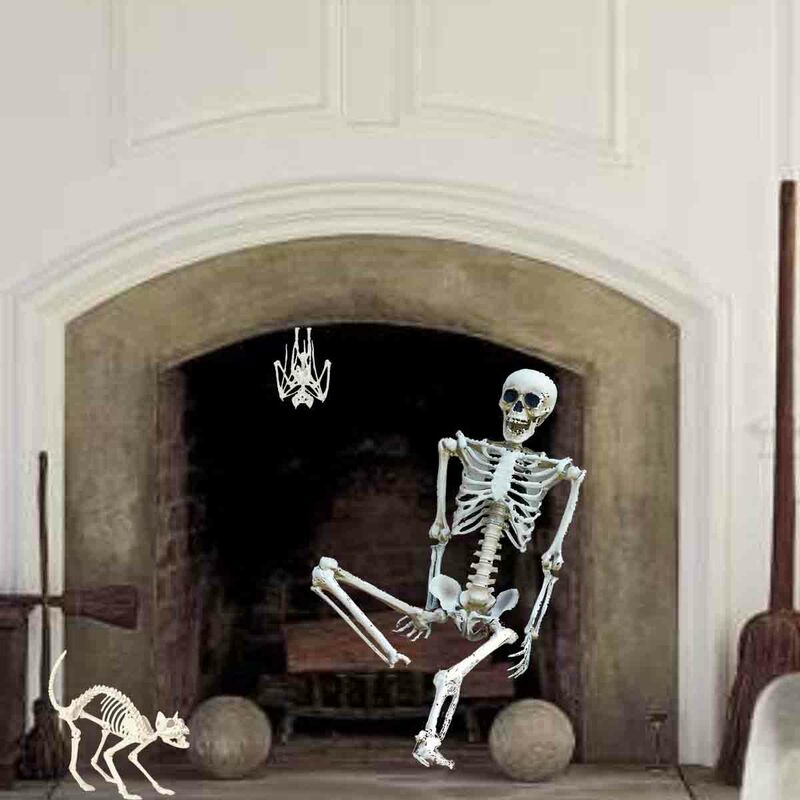 Allow the kitty and cat skeletons to warm up by the fire or investigate the mantel. 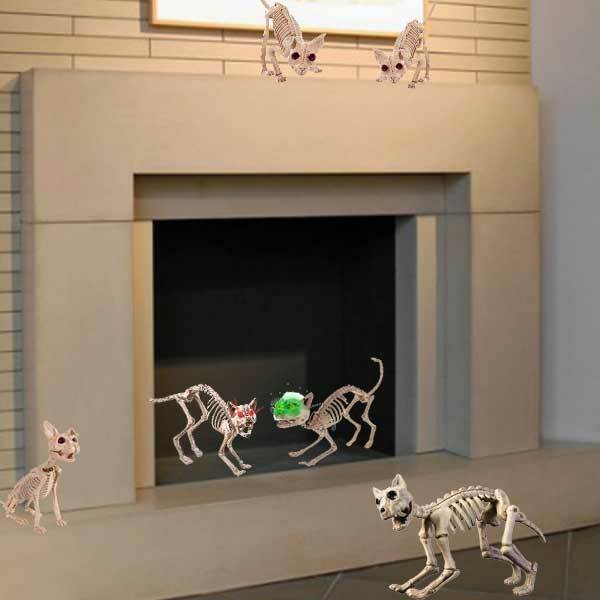 Up the haunted scale by using skeleton cats with LED eyes that light up and glow! No bones about it, man’s best friend, even in skeletal form, deserves to curl up in front of the fireplace. Dog skeletons come in a variety of breeds. Which dog skeletons will grace your heath this Halloween? Vultures, raven, crows and owls are all associated with Halloween. 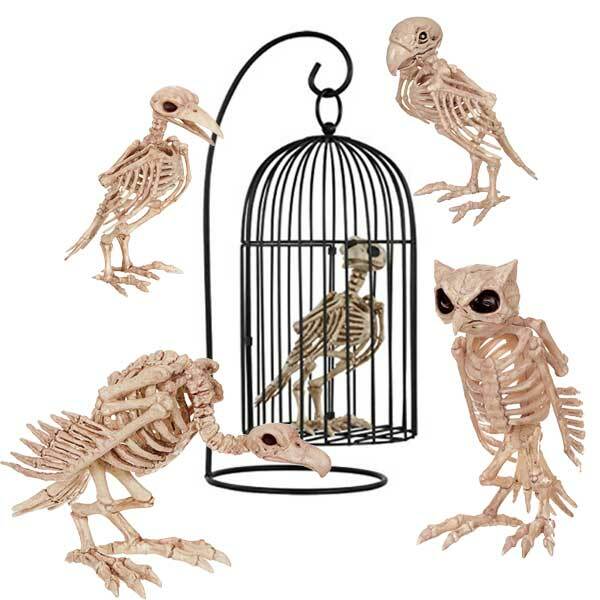 Elevate your spooky decorations with bird skeletons. In addition, some bird skeletons, even parrot skeletons, come complete with their own bird cages. Snake? Lizards? Frogs? Are the things that slither, crawl and hop part of your Halloween nightmares? 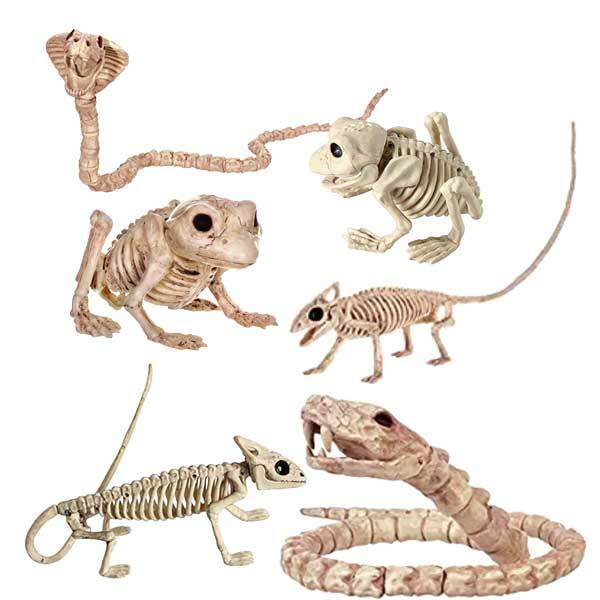 If so, snake skeletons, lizard and gecko skeletons, and frog skeletons are, therefore, just the things for cold-blooded Halloween decorating! Halloween is noted for creatures that appear for a limited time each fall. Witches, wizards, zombies, and ghosts belong in the world of Halloween. 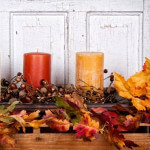 What a perfect time to decorate your fireplace or mantel with the remains of mythical beings! 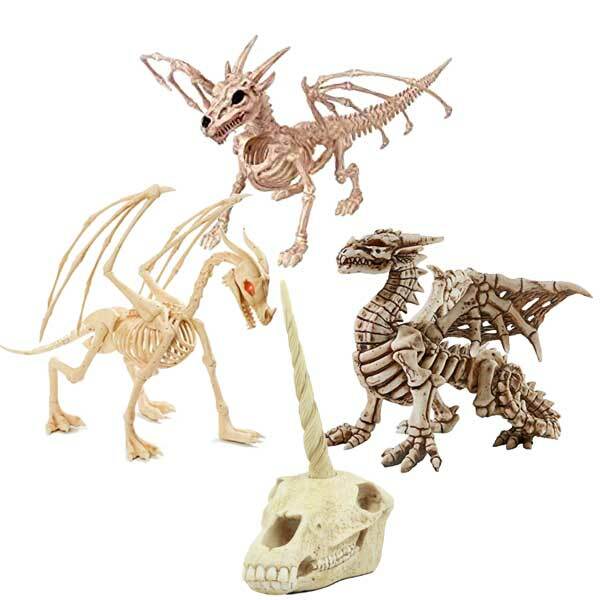 Are dragon skeletons your thing? 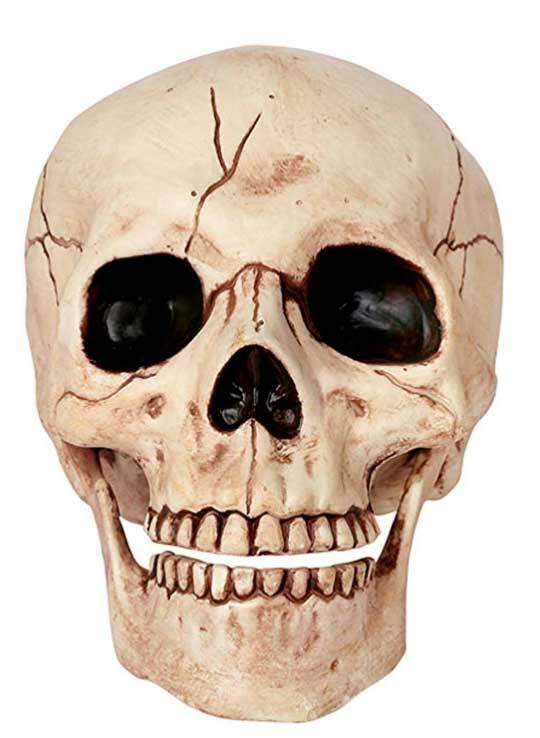 Or would a unicorn skull express your uniqueness this Halloween? 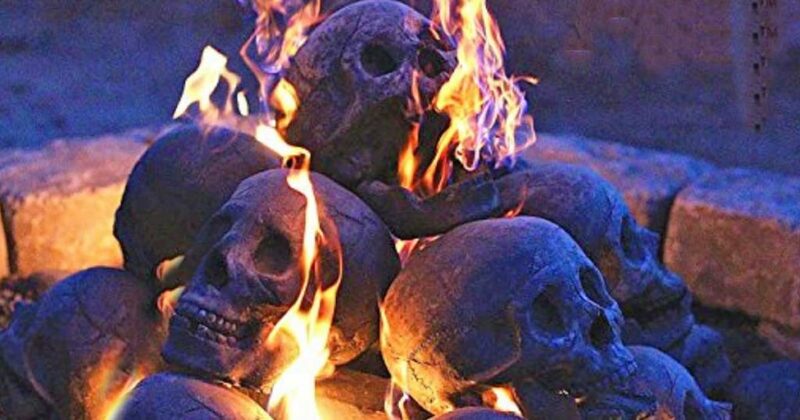 Finally, if none of these suggestions meets your expectations, check out ceramic fireplace or fire pit logs in the shape of human or demon skulls. 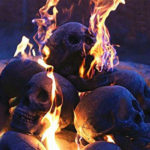 Light a fire and watch flames blaze through the skulls! So have a rattling good time this Halloween! Adding skeletons to your ghoulish decor can never be a grave mistake.